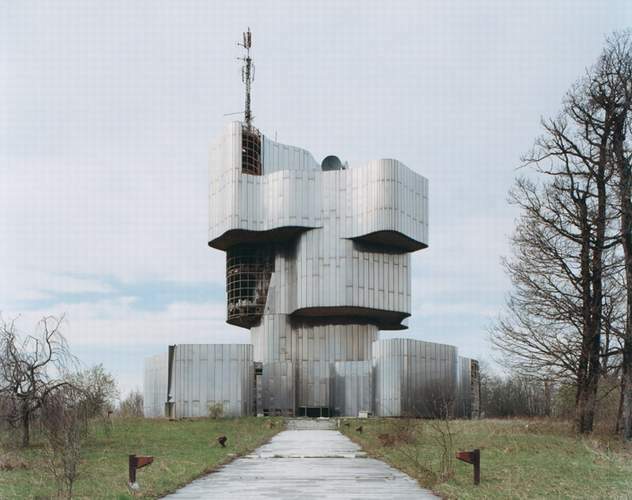 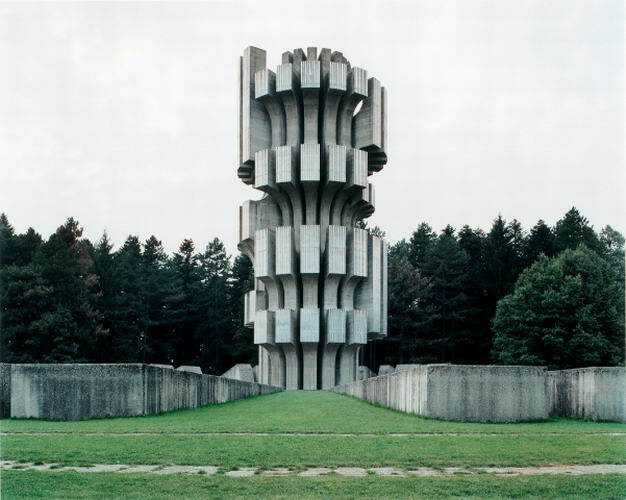 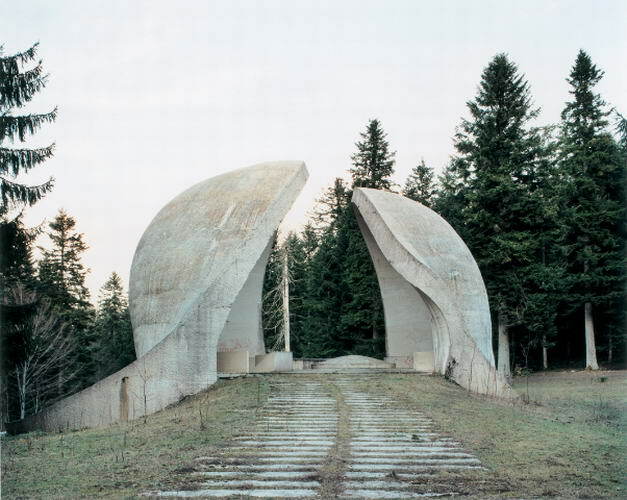 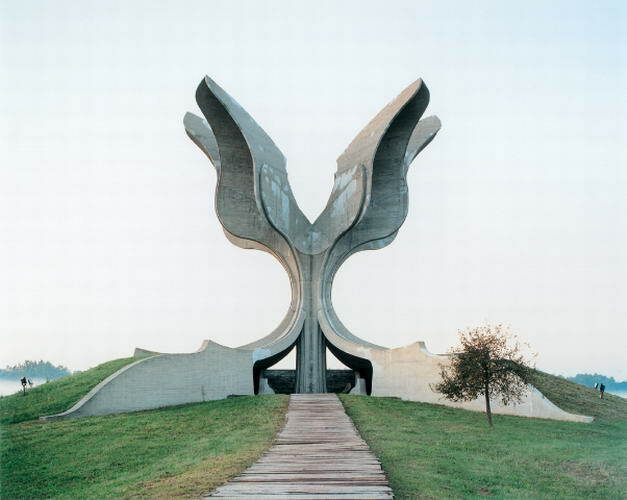 During the 60s’ and 70s’ former president of Yugoslavia, Tito wanted to show the world the strength and con­fi­dence of the Social­ist Repub­lic by having sculptors and architects building those (very futuristic) monuments com­mem­o­rat­ing the Sec­ond World War. 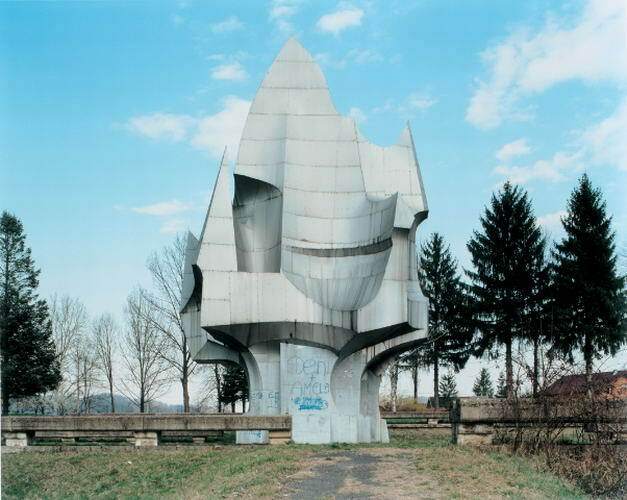 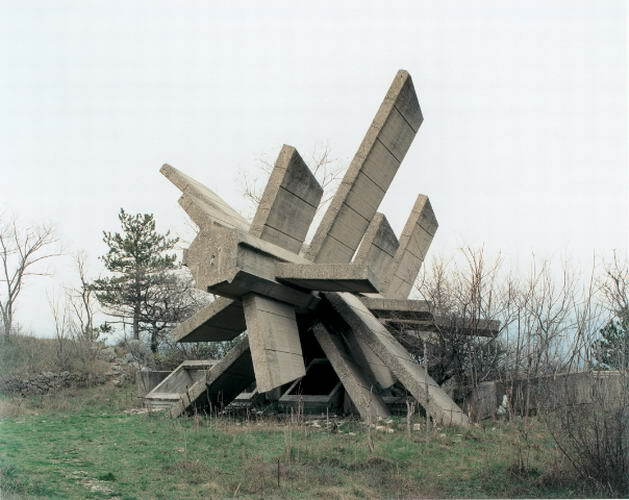 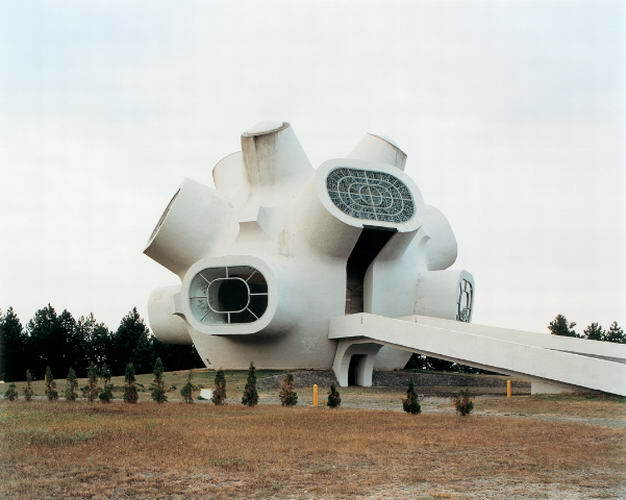 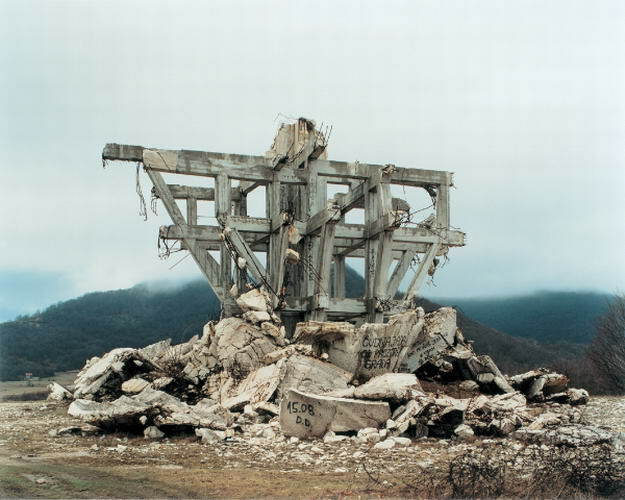 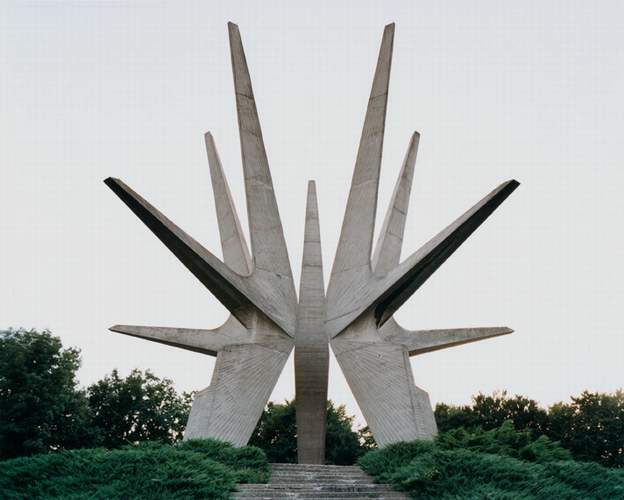 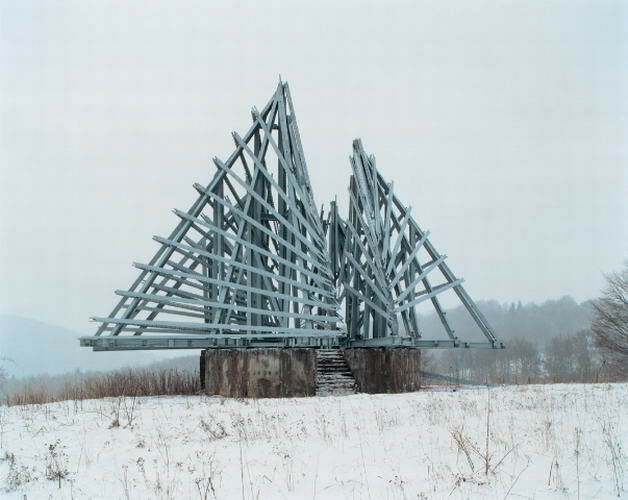 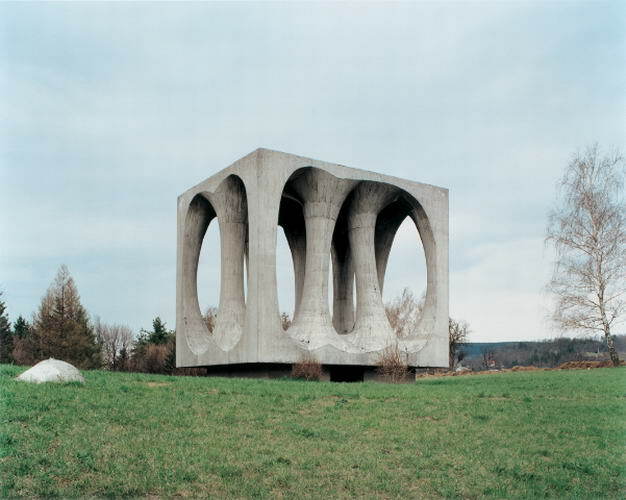 This series entitled Spomenik was photographed by Jan Kempenaers. 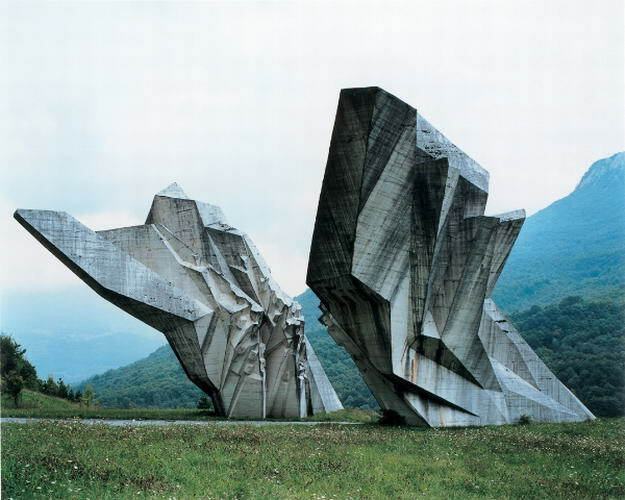 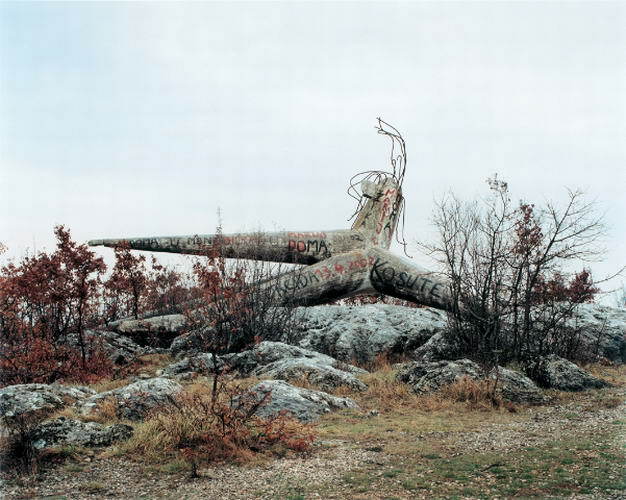 Today these sculp­tures now in ruins are located in Croa­tia, Ser­bia, Slove­nia and Bosnia. 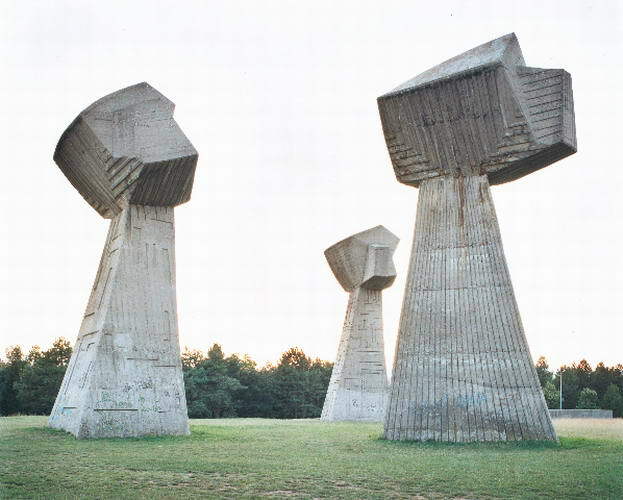 These works are the result of sculptors and architects such as Dušan Džamonja , Vojin Bakic , Miodrag Zivkovic, Jordan and Iskra Grabul , names mean little to most of us, but at the time were at the center of Slavic cultural movement . 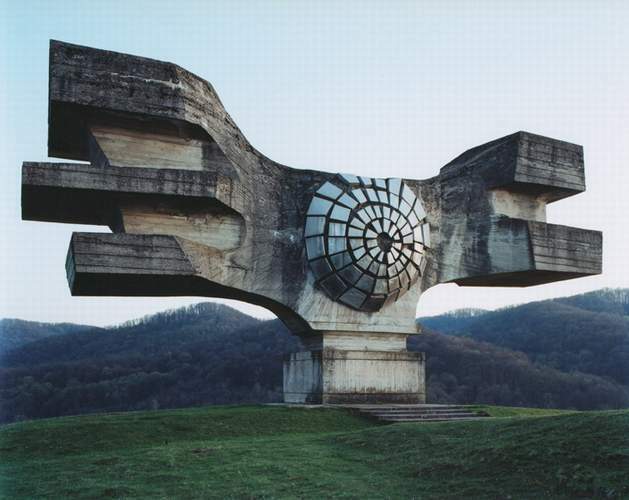 It is a shame that those monuments are abandoned, some of them are really nice..